Vaikunth Fabrics brings you great collection best quality kurtis for all your ocassions. 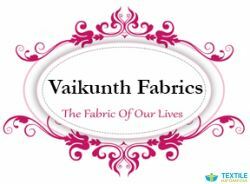 We, Vaikunth Fabric is Leading manufacturer, wholesaler and supplier of all typse of ladies kurtis in Surat, Gujarat, India. We have best collection in kurtis like rayon and cotton. We have range of cotton kurtis and rayon kurtis at wholesaler price.